Home » Make Money Online » Make Instant Cash In 48 Hours As A Writer – The Ultimate Side Hustle! 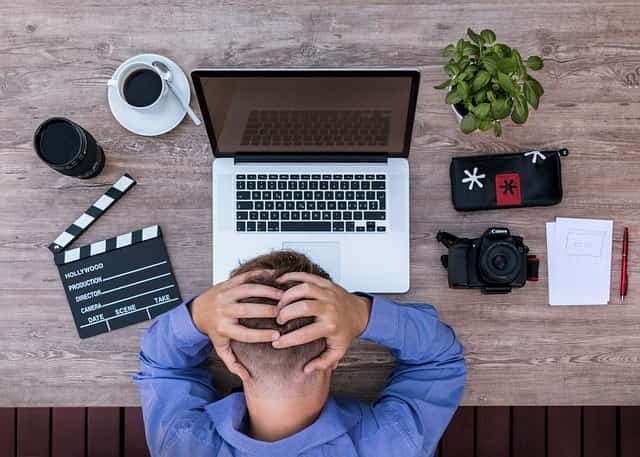 Action Steps For Getting Paid As A Writer In 48 Hours Or Less! I am going to show you a simple and easy technique where you can find the client in less than 48 hours. All the web design companies, SEO Consultants and Internet marketers need contents all the time for their client. You merely have to find these companies and pitch your service and idea. Chances are very high that you are going to get BIG clients who will be in need of constant content and you can supply him. I am going to show you the way to find these companies.You can improve your content writing by following this simple content creation tips.I use Grammarly premium for quality content creation. You can read my honest review on Grammarly at here. You can even earn money without any content creation. Follow this article arbitrage method to earn fast money as a middle man without writing any article. How To Give A Pitch? These two directories will help you put yourself and skills right in front of over a hundred potential clients. Now how do you feel about that? But I’m going to let you in on a secret. What matters here is not how many clients you can pitch; your success depends on how well you can pitch. So that should be your target; to make a fail-proof pitch. Remember these are busy people and you have to be simple and as concise as possible while still selling yourself. Make your entire pitch more like an elevator speech in a few lines. i.e quickly and define who you are, what you can do for them, how they will benefit from your skills and why they should hire you. Be professional: Writing a pitch with a casual tone won’t show you as a professional. These people can tell a desperate writer who is hopelessly looking for something to fill his time from a professional writer looking for the right opportunity to make a difference. Keep it short: Make it a few lines, this way they should be able to read it and respond within the minute. What you want to do for them – state this explicit giving reference to your previous accomplishments or directing them to your portfolio or where they can have a look at the quality of your work. State how this would help them – already you know their work. 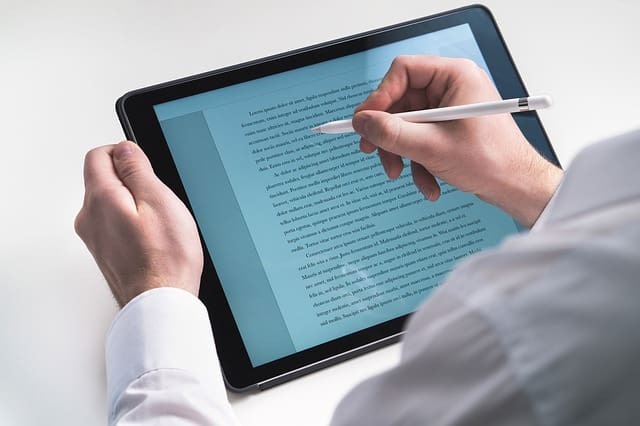 This is a business with clients, and all you have to do here is to let them understand what difference your writing skills can help them make in satisfying their customers. Why should they hire you? – this is your opportunity to null every doubt they might have about you and make them see it a risk-free decision to give you a try. Does that sound complicated? I guess not. You can do that in about 5 sentences or less. Email your pitch to these companies. You can always attract more clients using your blog. All you need to create a separate web page for the service section. You can introduce your service and charges for content creation. People will contact you and hire you for content creation services. You will get a query based on the traffic of your blog. So you might need to invest time for that, but this will be worth to you. You can read the following articles to create content easily and effectively for your blog. 1.How To Build Successful Internet Marketing Blog ! 3. Done For You Blog Templates To Create Your Next Blog Post In 5 Minutes! 4. Need More Affiliate Commission? Check out This Product Review Template! Linkedin can become the best place to get clients. You will get very high-quality clients who pay you a nice income for your work. All you have to use LinkedIn groups and contacts wisely for your business. Go to groups’ directory on LinkedIn. Post your availability for hire on each of the groups. Search for matching jobs on the “Jobs” section of each group and apply to Leave a few comments on the discussion section on each of the groups. You can search for the forums for content creations. Join at least 5 internet marketing forums and start promoting your service there. Followings are some of the famous internet marketing forums where you can get fast clients. (3)https://www.blackhatworld.com/forums/content-copywriting.194/ I am not a big fan of blackhat forums but you can get clients easily from there. 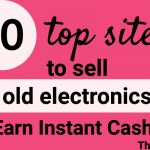 They have a huge marketplace for content buyers and sellers. (4)https://marketplace.digitalpoint.com/ I used to be a big fan of this forum but now it’s not up to the mark but you can still try if you want to. You can use the following template to introduce your service. Set yourself an income goal and follow it! 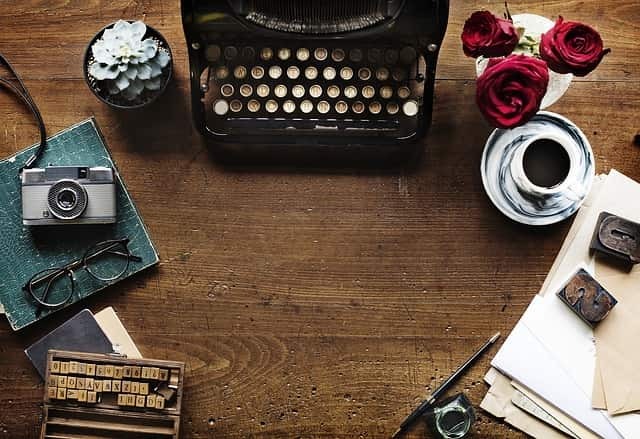 Before pursuing a job you need to shape yourself to become a great writer. to do that you need to devote a good amount of energy and resources. While you’re doing that you’re definitely not going to work so you will really need to practice to live in a budget! so, that once you find a job in the writing field it’ll be worth the investment! Also, this will help in the future as well. because you can make a target for yourself. like earn $4k/month or $3k/month etc. This way you’re pushing yourself to thrive! Pick A Niche Or Even A Particular Field! When in search of jobs always keep in mind your strengths. like where do your strengths lie? Where can you best showcase your work? What are you most passionate about? 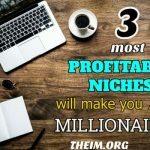 Picking a particular niche will help you narrow down your options. which will make it all the more easier to get jobs! Don’t take a back seat when you’re required to take control of the damn car! Be optimistic and enthusiastic and keep thriving! keep the hustle going and I swear you can reach your goal in no time! Make a to-do list on a daily and follow it rigorously! kick that procrastination out! You can quickly get the client with the above techniques. All you have to put efforts at an initial stage. I give you one pro tip, if you got one or two big clients, then they will provide you with a huge business, and you don’t need to look for any more clients. So, start implementing these simple techniques into your business and you will find a new client soon. 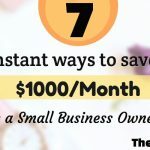 7 Instant Ways To Save $1000/Month As A Small Business Owner!